The open-access movement cannot be appreciated without an understanding of the complex and interdependent system that produces, evaluates, and distributes scholarly research results. For the past 60 years, five stakeholder communities have contributed to the system that enables the production of peer-reviewed research literature. In the simplest terms: funding agencies and foundations provide funds to conduct research; universities and other research organizations host the intellects who conduct the research, maintain the research facilities, and educate and train future researchers; authors, with no expectation of monetary compensation, write research articles describing their research findings; publishers accept contributed research papers on condition of copyright transfer, facilitate the editorial process, and manage the production and distribution processes needed for disseminating the articles; and libraries use institutional funds to purchase, organize, and preserve this publisher output and make it available for current and future research and teaching. In a system this interdependent, destabilization at any one point perturbs critically important relationships. The advent of the Internet and digital formats was just such a disruption. Initially greeted with enthusiasm on all sides, the transition to digital formats and network distribution channels did not play out as all the stakeholders anticipated or would have liked. As publishers introduced restrictive contractual business models, raised prices (often disproportionally), experimented with digital rights management, and advocated for federal legislation favorable to their own business interests, other stakeholders became concerned about balance in the system and began to look for alternatives. Authors in this system write to have impact, not for royalties. A distribution system that controls and constrains access to articles is anathema to researchers who seek wide influence rather than remuneration. Alternative options, which could fulfill the promise of the Internet as a tool for open and compatible digital publishing, gained early support in discussions. In 2002, the Declaration of the Budapest Open Access Initiative1 was the first formal call to action, followed the next year by both the Bethesda Statement on Open Access Publishing2 and the Berlin Declaration on Open Access to Knowledge in the Sciences and Humanities.3 The central concept of each of these calls to action was simple: peer-reviewed research articles, donated for publication by authors with no expectation of compensation, should be available online, free, and with the smallest possible number of usage restrictions. The extent to which access to knowledge is constrained and controlled by publishers' business models is at the heart of the discontent researchers have for the current journal-publishing system. Peter Suber, a leading advocate of open access, articulates the view from the academy as follows: The “problem is that we donate time, labor, and public money to create new knowledge and then hand control over the results to businesses that believe, correctly or incorrectly, that their revenue and survival depend on limiting access to that knowledge.”4 Today, as in 1945, barriers to access to current and past knowledge are viewed by researchers as profoundly at odds with the advancement of knowledge. Yet producing high-quality peer-reviewed articles has a cost. The fact that faculty members and researchers donate to publishers the ownership of their research articles — as well as their time and effort as reviewers — does not mean that there are no expenses associated with the production of high-quality publications. For all its known flaws, no one wants to destroy peer-reviewed publication. But the nonpublisher stakeholders in the scholarly communication system can no longer support the prices and access constraints desired by traditional publishers. Discontent with the system extends well beyond authors. Government agencies have good reason to want the research they fund with taxpayer money to be broadly accessible and rapidly built upon; indeed, some would argue that public funders have an ethical imperative to demand open access. 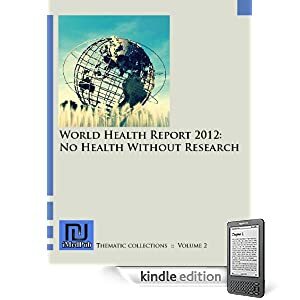 Charitable foundations similarly want to share the fruits of their investments in research and, like governments, need to be able to assess the impact and effectiveness of their funding. Recent policy decisions by Research Councils UK and the European Union5 demonstrate a broad and compelling international interest in increasing access to publicly funded research results. Over the past decade, researchers, research institutions, and funding entities have been experimenting with channels of scholarly communication that serve as alternatives to traditional publishing. Many academic disciplines now utilize large open-access databases (such as arXiv and SSRN, the Social Science Research Network) to share research articles in the pre–peer-review stage. Hundreds of academic institutions and funding agencies now host open repositories of post–peer-reviewed articles that have been authored by grantees or members of their communities. Search engines, which are increasingly popular avenues to scholarly content, facilitate discovery and document use. These and other experiments and alternatives to traditional publishing are leading the way to a digital, Internet-based, more open publishing system for peer-reviewed journals. 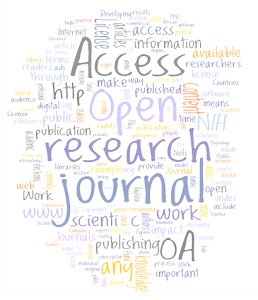 The Directory of Open Access Journals (www.doaj.org) lists more than 8000 open-access journals, many of which are highly regarded according to conventional metrics of excellence. Emerging business models include publication fees paid by authors once an article has been accepted for publication, direct support from research grants, and contributions from research institutions willing to contribute financially to publication systems for more openly accessible articles. There is no doubt that the public interests vested in funding agencies, universities, libraries, and authors, together with the power and reach of the Internet, have created a compelling and necessary momentum for open access. It won't be easy, and it won't be inexpensive, but it is only a matter of time. Listen to an interview with Dr. Martin Frank and Prof. Michael Carroll on traditional and open-access scientific publishing.